First Floor 1091 sq. ft. 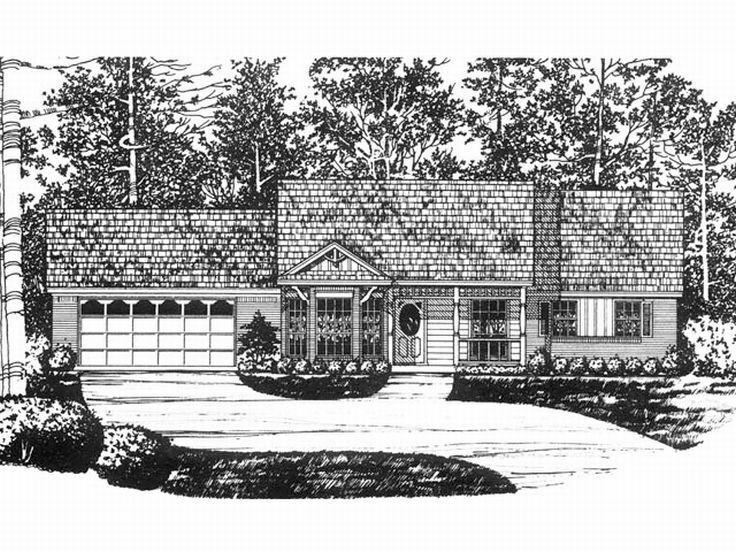 This country ranch house plan is small and affordable, just right for a family starting out. The large living room boasts a 10’ sloped ceiling and a warm fireplace while opening to the kitchen. Pleasing the family chef, the kitchen reveals a raised snack bar and a handy pantry as it adjoins the bayed dining room. 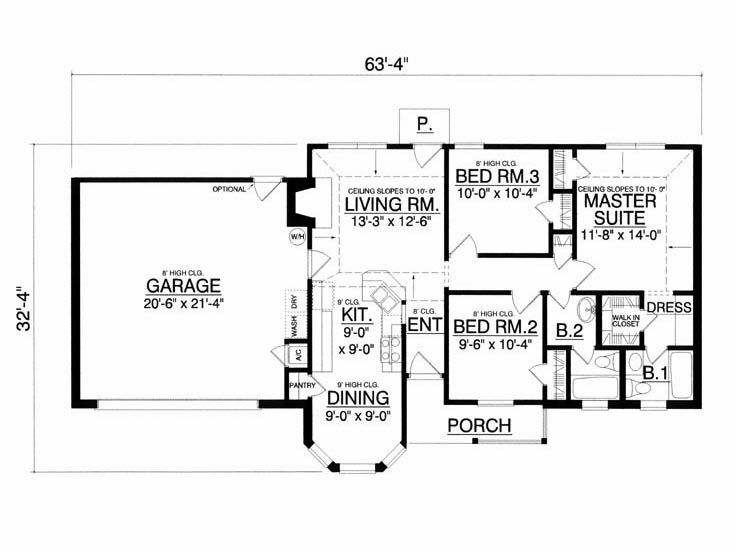 The classy master suite features a 10’ sloped ceiling and a bath with a dressing room and walk-in closet. 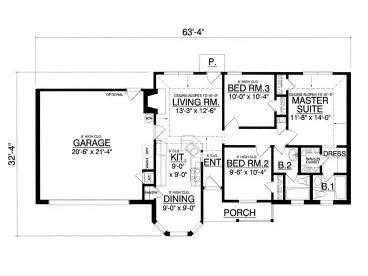 Two additional bedrooms share a convenient hall bath. Comfortable and accommodating for a new family, this budget conscious home plan is sure to please you.